Exotropia is a type of strabismus in which one or both eyes turn outward. “Exo” means to turn outward toward the temple. Most exotropia conditions are classified as constant or intermittent exotropia. A constant exotropia will typically involve one eye that remains turned out. Most people who suffer from exotropia have an intermittent exotropia. In intermittent exotropia, sometimes one eye is turning out and other times both eyes are straight. People who suffer from this type sometimes can tell when they are not using both eyes. When they sense this, some can act to converge their eyes and it will straighten the eyes back up. People who have an intermittent exotropia may manifest the exotropia more when they are not feeling well, fatigued or when drinking alcohol. An exotropia can be considered unilateral or alternating. In a unilateral exotropia, it is always the same eye that turns outward. When it is alternating, an exotropia can alternate between the eyes. The right eye may be turned out while the left eye is straight, and then it may alternate and the right eye will be straight and the left eye will turn out. Amblyopia is a common developmental problem associated with exotropia. Amblyopia is a condition that occurs when one or both eyes never see a clear image. If the image is never seen clearly for a long enough period of time, permanent vision loss may develop. In exotropia, one eye may become turned out. When the eye is turned out, the brain typically suppresses or ignores the image that the eye sees. Otherwise, the person with exotropia would see double constantly. If the brain suppresses that eye frequently, the normal development process of the human neurologic system gets disrupted and in effect, becomes wired incorrectly. The human neurologic system is very “plastic” up until age 14. After age 14, the brain and nervous system become hard-wired and it is difficult to improve vision back to normal. Therefore, early treatment is critical. If aggressive treatment starts at an early age, improvement in vision is possible. People that have an alternating exotropia typically do not develop severe amblyopia or no amblyopia at all. This is because they are alternating, the brain is using each eye at least part of the time. Because both eyes are being used and stimulated at certain times, amblyopia does not develop. Still, another way to categorize exotropia is whether or not the person has a sensory exotropia. If you suffer from a sensory exotropia, the brain cannot fuse the images that each eye sees. Even if both eyes are brought together, the person has a hard time fusing the images together in the brain. This is important in how the exotropia will be treated. It is very common for children who show signs of an exotropia to squint or close one eye, especially in bright light or sunlight. Doctors still do not know exactly why they do this. Obviously, another symptom will be one or both eyes drifting outward. Small exo deviations may be difficult for parents to see. Photographs sometimes will reveal an exotropia that it is difficult to see in day to day life. Having a family history is a very important reason to schedule eye examinations for young children, as strabismus shows a strong genetic inheritance pattern. An exotropia can develop later in life. What usually occurs is that a person may always have the tendency to develop an exotropia. However, our ability to compensate and keep the eyes straight works very well when younger. As we get older, our system may decompensate and an eye may drift outward. 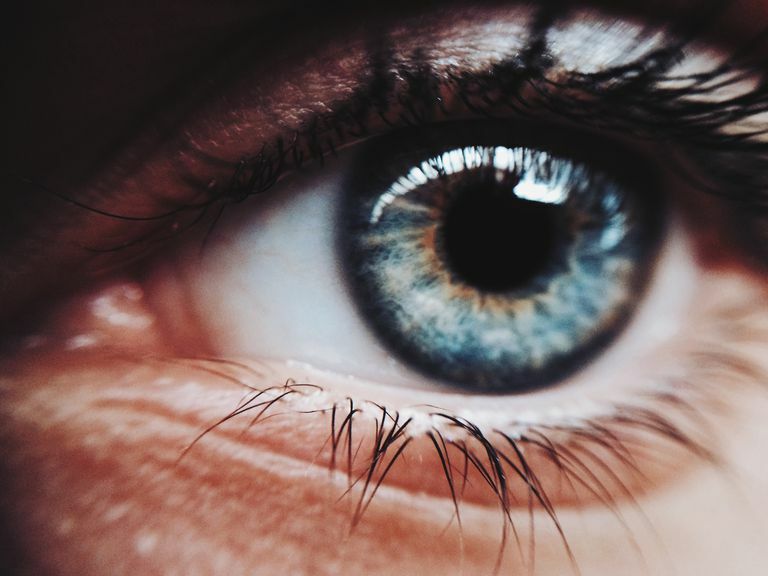 Serious medical problems such as cardiovascular disease, diabetes or brain tumors have been also been known to cause strabismus that occurs later in life. Optometric Clinical Practice Guidelines, Care of the Patient with Strabismus: Esotropia and Exotropia, American Optometric Association, 243 N. Lindbergh Blvd., St. Louis, MO 63141-7881, 2011.